A Co. Galway health food business has won the top prize of €10,000 cash in the SCCUL Enterprise Awards. The winner was announced at the annual SCCUL Enterprise Awards prize giving ceremony and business expo which was hosted by NUI Galway in the Bailey Allen Hall, NUIG on Thursday 29th January. Inspired by the rapidly growing global trends of health and wellness, NUA Naturals supplies and distributes high quality health food in Ireland and the UK while also sourcing raw ingredients internationally which are then packaged and distributed under the NUA brand name. Established in 2011, NUA Naturals currently employs 11 people at their base in Westside, Galway. Julie Sinnamon the CEO of Enterprise Ireland addressed the SCCUL Mentors Group in the Clayton Hotel Galway. There were a number of issues addressed and also many ‘good news’ stories around different industries throughout Ireland. 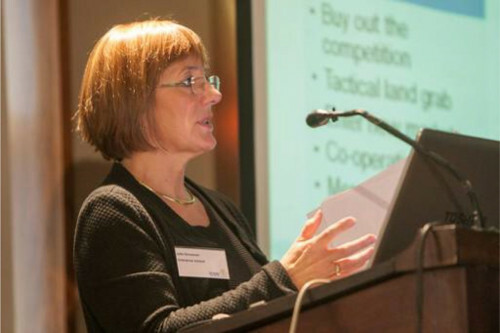 Julie is extremely optimistic about the prospects for the food sector and anticipates a 50% growth in that sector over the next 5 years. She sees much of the growth in this sector being located in the regions. This ties in with a broader objective to ensure a balanced distribution of EI support across all parts of the country. 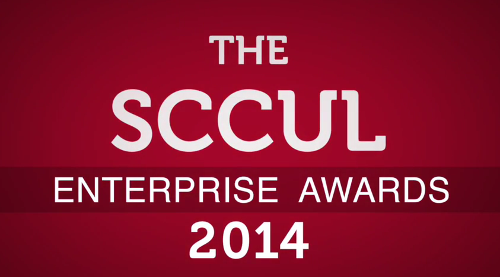 Bizmentor, Declan Droney’s interview at the SCCUL Awards 2014.